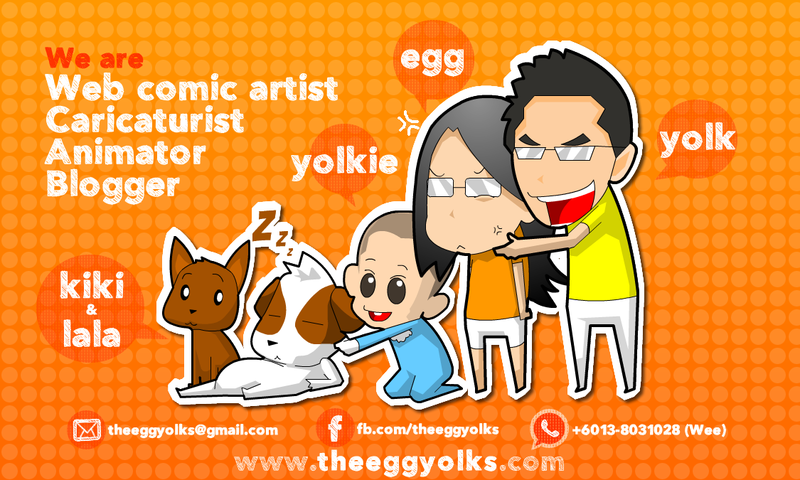 THEEGGYOLKS 蛋黃打点滴: Have You McValue LUNCH–ed This Week? 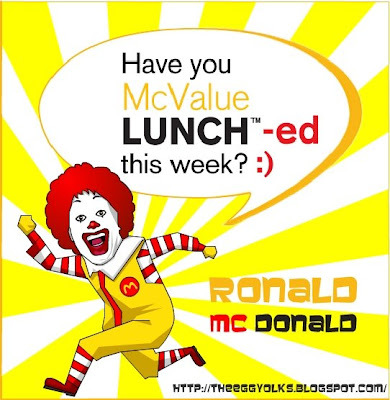 As the title goes, Have You McValue LUNCH-ed This Week? Well, if you ask me, I would say "YES". 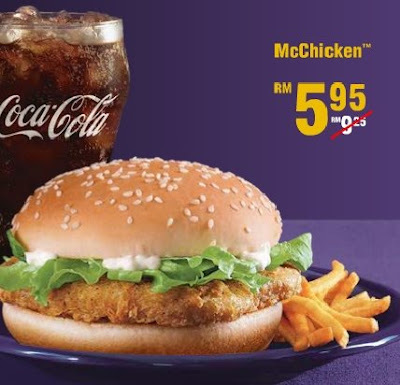 This is the most affordable lunch set which Mc Donalds (Malaysia) has to offer. 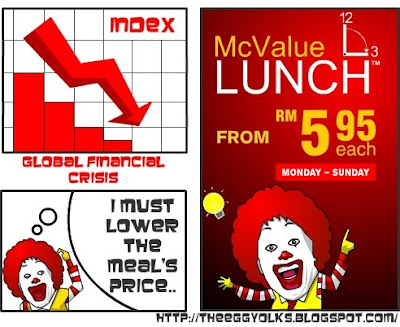 Ever since the global economy meltdown, food prices have been skyrocketed. 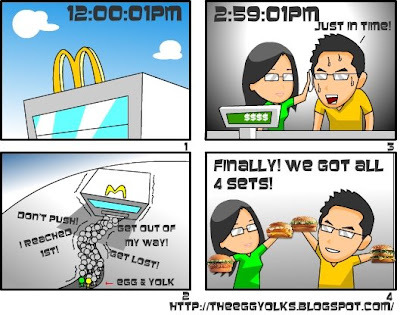 Me and Egg had been looking for nice, cheap, filling meal since then and we found McValue Lunch! 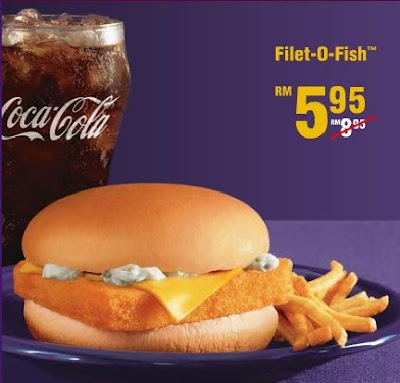 The set lunch's price starts from RM5.95! Unbelieveable! Does it make you "mouth-watering"? 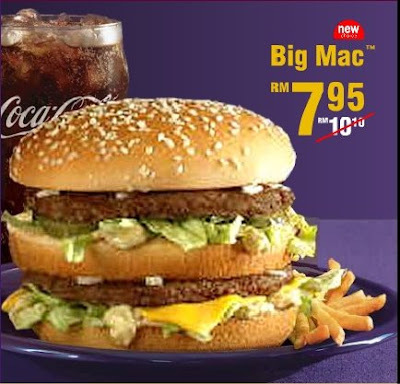 So go McD before it's too late! 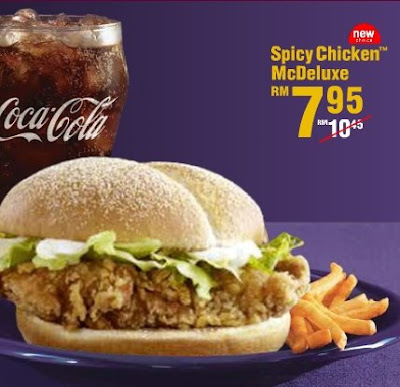 Well, I'm writing this is not just to promote the meals :P, I'm actually participating in the Mc Donald's Blogger Contest which requires you to write a post that shows your support to the McValue Lunch campaign. Click HERE for more details on the contest. The winner of the contest will get an apple I-phone!